There is no description was specified for this gadget. 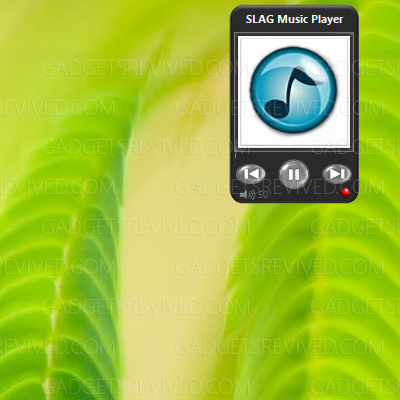 View your current playing track from your media player of choice. The gadget will fetch album art from Amazon aswell as lyrics for your current track. 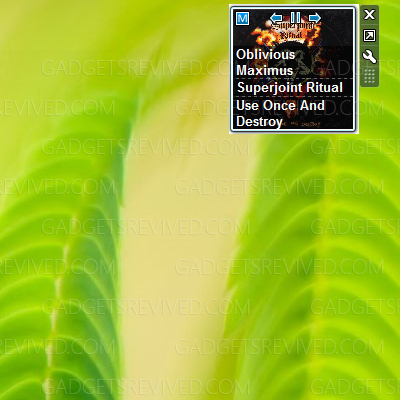 Compatible with most media players e.g. WMP, Winamp, iTunes, foobar etc. 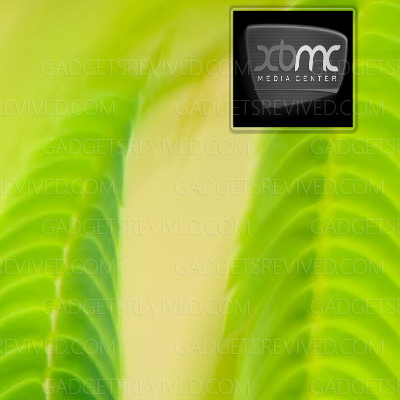 Plays media library of Your Windows Media Player. 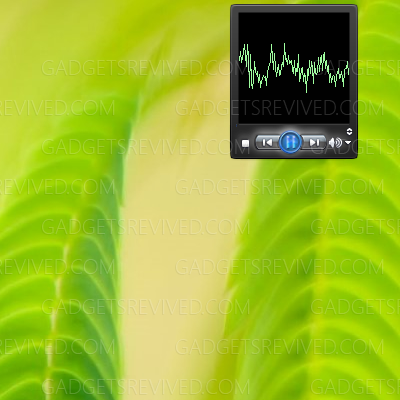 Displays albumart picture or visual effects chosen in Your Windows Media Player. Also has minimized version without visual effects (albumart) display. Simple Little Audio Gadget. 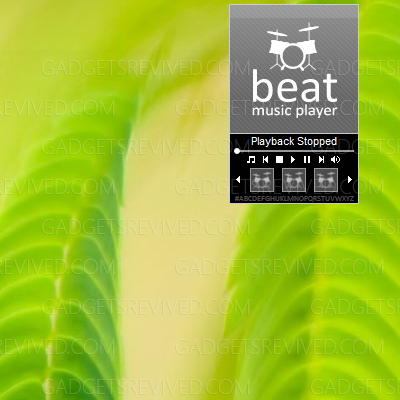 Plays random tracks from your Windows Media Player playlists, with album art or visualizations. 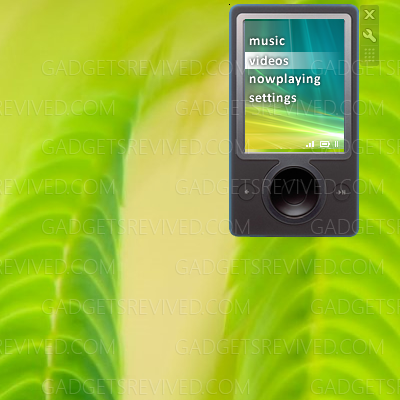 Shows an artwork and a track information of a song playing on iTunes or Winamp. 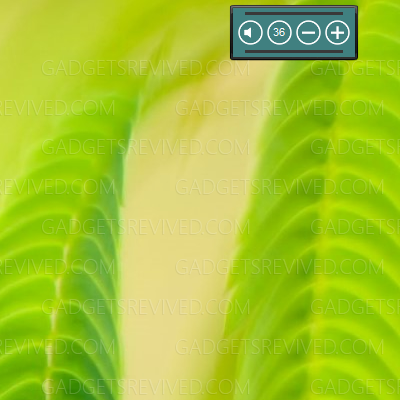 You can control the player to play, pause, skip, volume, shuffle and so on. And besides, when nothing playing, slideshow is available.